Summary: "New York, Los Angeles, and Washington, D.C., have been abandoned. That is, until her mother is arrested for noncompliance with Article 5 of the Moral Statutes. And one of the arresting officers is none other than Chase Jennings…the only boy Ember has ever loved." First line: "Beth and Ryan were holding hands." Thoughts: If you read any book this year, let it be Article 5. It has everything I love about dystopia: Complex characters, amazing world building, and villians so cruel, they'll make you want to kick and throw things. How funny that a world without zombies, vampires, nor werewolves can be so terrifying? The best way I can explain this book (for all your history buffs out there) is to conceptualize what life would be like had we lost World War II. Imagine a world where concentration camps are deemed "reform schools" and everyone is a target. You can do everything right, follow all the rules, but it still won't save you. This is what the world has been like for Ember ever since the war. To prevent another war, the goverment has issued 5 Articles. Unfortunately for Ember, her mother is charged with a violation of Article 5 (something that is completely out of her control) and is thrown into jail to await trial. What happens to Ember? Well, she gets placed in a reform school where sit's either follow the rules or suffer the punishment. 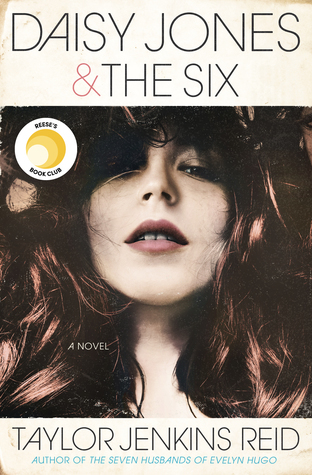 One of the things I adored about this novel was the character developement in not only Ember but also Chase. Both of them grew and had their own trials to overcome. Ember's strength increases as the book progresses. She went from being a girl who followed all the rules to someone who would do anything to survive. I loved how her reactions were the same as my own, had I been thrown in that situation. Some of the things that happen to her are terrifying, so it was nice to see her scared from time to time. She deals with so much pain and heartache and yet still finds the courage fight for what she believes in. And the love she has for her family and those she cares about was absolutely amazing. Chase, on the other hand, gives silent and brooding a whole new name. As you read further and further into the story, you realize why he's doing what he is, and his story alone is incredible. Any girl would be lucky to have someone like Chase in their life. Now, let's talk about romance. While there's more tension than anything, I can't help but fall in love with Ember and Chase. They're spectacular together. Even when they're not talking, they each do little things to show that they still care for one another. I adored the flashbacks of what their relationship was like prior to Chase being drafted into the MM. And oh my gosh, just thinking about everything they go through (and it's a lot), I can't help but fall in love with them all over again. Is Chase swoon-worthy? OOOOOH YEEEAAAAHHHH!!! 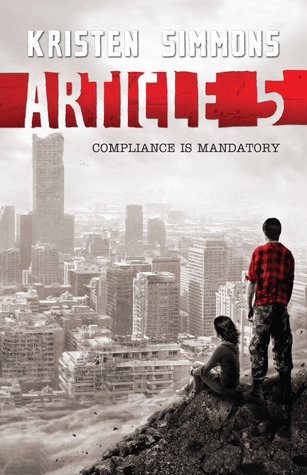 If you're looking for a pulse-pounding, intense read, I would recommend picking up Article 5. It's a reminder that monsters do exist, even if those monsters are cruel people who make the wrong choices. You can choose to surrender or you can choose to fight. In the end, which would you choose? Great review Lena! I think I have this one. I'll move it up the TBR pile! Great review! I just got Article 5 the other week and can't wait to get to it. Your review is AWESOME. It totally makes me want to go out and grab a copy and read it RIGHT NOW. Thank you for sharing! I ordered this one a few days ago so hopefully it gets here soon. I've been hearing nothing but amazing things about it and I can't wait to read it. Great review! Excellent review, Lena! I loved this one and Kristen is absolutely the sweetest. I loved Ember and Chase together, Chase is definitely my new book boyfriend! I enjoyed Article 5 thoroughly, it was very good. I'm so excited to read this now!!! :D Great review, Lena! !